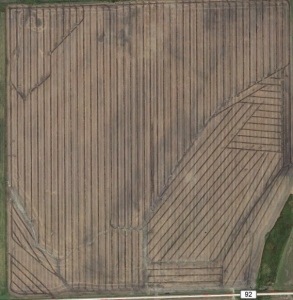 We are back with another set of interesting imagery finds from around the Red River Basin. This one has a number of features we had a difficult time identifying. 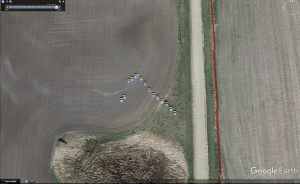 The first two images (below) show the typical moisture patterns of fields with subsurface tile drainage. 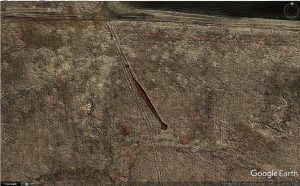 We look at these types of images during our hydro-conditioning of digital elevation models to figure out where water is flowing on the landscape. We are always amazed when a surface image shows us what is hidden beneath the ground, as if an X-ray filter has been applied. Kyle Glowa found the below object in the Sandhill-Wilson watershed, but no one on our team can figure out what it is. 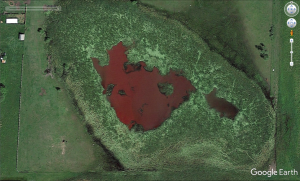 It looks to be an iron object of some sort, or maybe a narrow, red-colored water feature due to it having a similar color to the water feature found in the next image. Let us know if you have an idea of what it could be. 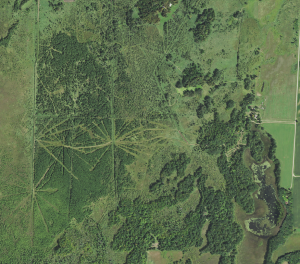 Austin Braget found this interesting set of radiating features (below) in the Maple River watershed, showing what appears to be logging of a woodland area. 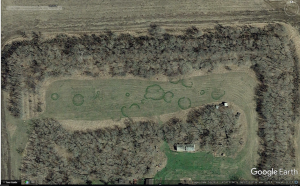 Uh… fairy rings? 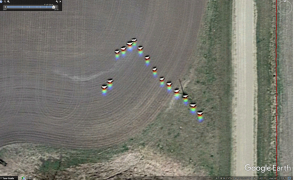 UFO landing zones? No, I don’t want your logical explanations; let a man dream. 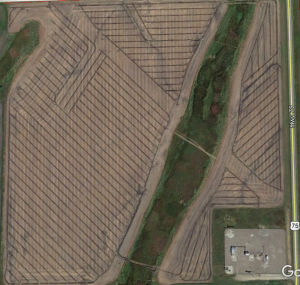 The image below shows a wind break that has been claimed by Devil’s Lake. 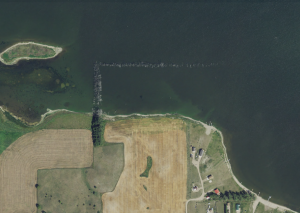 There could be a whole blog dedicated to features found along Devil’s Lake, and when our conditioning team gets to the area, there may be one showing all of the interesting finds. Let us know what you think about these finds and feel free to share your own finds with us as well!